All these find their utilities and applications in Retail, Road show and Tradeshow arenas all across the market nowadays. These quick and easy portable display systems help you to bring at sales presentations, mini-exhibits or trade shows options at ease. Further, we can also design them in such a way so as to augment the look and elegance of the products to be displayed. 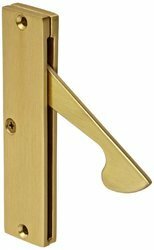 Thin Brass Thin Edge Pulls is manufactured from solid brass and finished in a lacquered polished brass finish. this pull is an excellent solution for doors where minimal hardware exposure is desired. Typically mortised flush in face edge of sliding doors and pocketing screens. This leaflet display stand, also known as a literature display stand, features a weighted base to withstand busy environments. This leaflet display stand is often seen in areas like lobbies, shopping malls, galleries, car dealerships and museums. Assembly takes only a couple minutes to set up. 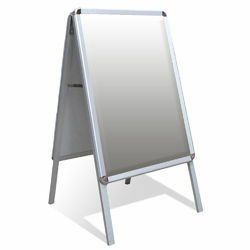 Featuring a simple yet sophisticated design, the leaflet display stand is suitable for use in any business. This leaflet display stand is one of our most popular leaflet stands. 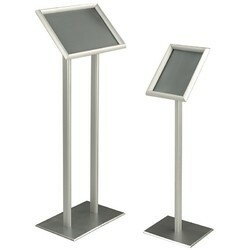 The leaflet display stand is fabricated from quality aluminum with a black finish. Each brochure holder, leaflet display stand comes with three 4-pocket brochure trays for placing a variety of printed materials. We include the literature display stand with the necessary hardware for assembly. This leaflet display stand is a fully adjustable literature display. This leaflet display stand is one of the best ways to showcase your brochures in style!. There are two grooves running along each side of the pole, allowing you to slide accessories to a desired height. Each shelf has a connector on the back side, positioning your shelf at a 25 degree angle from the pole. Menu display stand at retail food restaurants. This portable pamphlet stand has a simple fold down construction for fast assembly. 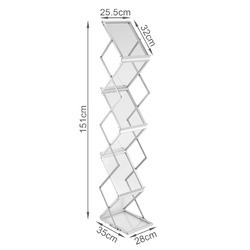 The literature rack features a lightweight design for conveniently carrying the unit from one space to the next location. A pamphlet stand with a solid metal construction, also called a magazine display, provides users with six pockets for placing printed materials. Each literature rack is double sided to present three stacks of catalogs on both sides. Every stand adjusts to three different heights to find the perfect level for advertising content. The carrying case is included with the purchase of the magazine display for storing the unit when traveling. Aluminum Framed Stand comes with clip on frames which makes easy to replace the prints, puts the emphasis on the print while using minimal floor space. This prestigious range of display frames are specially designed for use with posters, pictures, safety and legislative notices, maps. Looking for Exhibition Display System Accessories ?